The most talked-about, downloaded, acclaimed, and debated hit of the summer isn’t the latest Kardashian drama, but rather a mobile game reminiscent of years gone by, Pokémon GO. Due to the element of nostalgia, opportunity for exploration, and user connectivity, this app has created an explosive user base of fans (and skeptics) that will likely change the way we think about the future of gaming. With the average gamer searching for Pokémon companions for roughly 45 minutes a day, the questions must be asked, “Why?” and “Who?”. 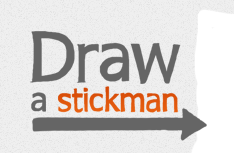 While the “why” is the most heavily debated part of this game, the “who” is actually the most interesting part of this 2016 application phenomenon. Typically when a game (or similar artifact of mobile society) is released to the public, its adoption follows the typical life cycle bell-curve that we studied in our business and marketing classes. Innovators first, early adopters second, and the combo of early majority and late majority filling up the middle and end of the curve. What this game did is make Augmented Reality technology, or AR, (which is still relatively “new” in terms of its mass consumption) easily digestible (i.e, fun and easy to use) for the larger percentage of the population. It did this by tapping into the ways we most commonly use our devices – GPS and our cameras, combined with a multigenerational franchise. Pokémon Go didn’t follow the typical curve, it seemed to explode all at once with all types of users adopting. To note, Pokémon Go isn’t the first geocaching mobile game, nor is it possibly the best. Niantic, the developers of Pokémon Go, previously made another app known as Ingress. Not surprisingly, the gameplay for both apps are very similar, to the extent where much of the real-world data from Ingress has gotten pulled into Pokémon Go. In fact, Ingress could arguably be superior to Pokémon Go in terms of usability. In our opinion, Pokémon Go has considerable server issues and is rather limited in terms of what players can do. Much of this could be underpreparedness for the bandwidth needed for its release. Ingress also has been around for about three years and has undergone substantial gameplay tailoring. Understanding “who”, we have to toss a nod to the favorite Pokémon cartoon characters like Pikachu. Now that the Pokémon franchise is roughly 20 years old, we find the average age of players are in their mid twenties to early thirties. These are the users who remember Pokémon from its early days when the first games were released for Nintendo’s Game Boy, and a card game and children’s show followed shortly after. We have an inherent desire to experience parts of our youth again, in just more relevant ways. Of course there are younger and older people playing this game too, which takes us back to the massive impact this game has had on the user adoption process of gamification. If it was any other character-based game released (instead of using characters from a popular franchise), would the impact have been the same? Maybe. But, for now, only time will tell as the stage has been set for mass adoption of mobile AR gaming all in part to a little yellow-orangish creature. But is the impact of Pokémon Go something that many are misinterpreting? Some may give it a negative spin like it’s another distraction, but the core meaning of what this app has is truly something special. It’s creating an experience for people to go outside and play a truly social game, not social in the sense of over the internet (like Xbox Live and other services) or physically near each other. The placement of Pokémon in the real world has increased traffic to landmarks and cultural locations – resulting in positive and negative results. The app tears AR away from its seemingly limited application to gaming and artificial intelligence, broadening it to entertainment, fitness, and possibly a lot more. Pokémon Go feels comparable to arcades of the past, only this time the arcade is everywhere. No doubt, businesses will figure out how they can profit from leveraging in-game advertising and purchases to entice ‘trainers’ to their business. While many naysayers are torn on the “why” people are out looking for Pokémon instead of, say, picking up litter, there’s something to be said about a game that unifies and bonds complete strangers across cultures and age brackets in public spaces. The Pokémon journey is a new frontier in convergence and is the start of bigger and better AR experiences to come. As the range of touchscreen offerings grows, there is no doubt that most adults are aware of, or interact with the resulting increase of advertising. But what about children? WSJ’s Anton Troianovski published an article today that draws attention to the somewhat disconcerting reality of an overwhelming number of children who currently access mobile devices and, subsequently, are vulnerable to advertising. Today we have a two part MOTD. The first graphic depicts the controllers of various video game platforms and has text explaining the buttons and controls. The second graphic, at the bottom, represents portable video game systems. 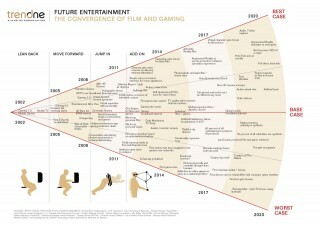 Created by TrendONE / BVDW Virtual Think in Germany, this infographic shows a the history, current state, and future projections for the increasingly merged worlds of gaming and film. Worth a read through for those of you who are into either!